Left, Dublin's Noelle Healy celebates and right, Freya Cahill risks detention by wearing her Dublin colours to school and not her uniform! 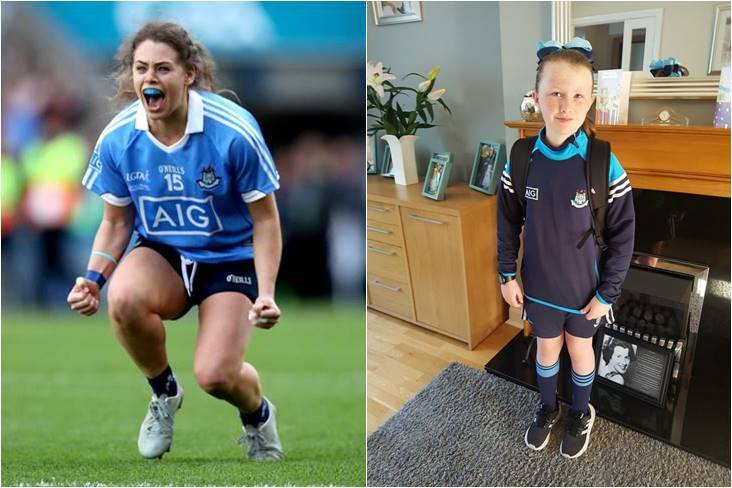 An 11-year-old girl has struck a blow for gender equality by wearing her Dublin colours to school in support of the ladies footballers who take on Cork in Sunday's All-Ireland final. 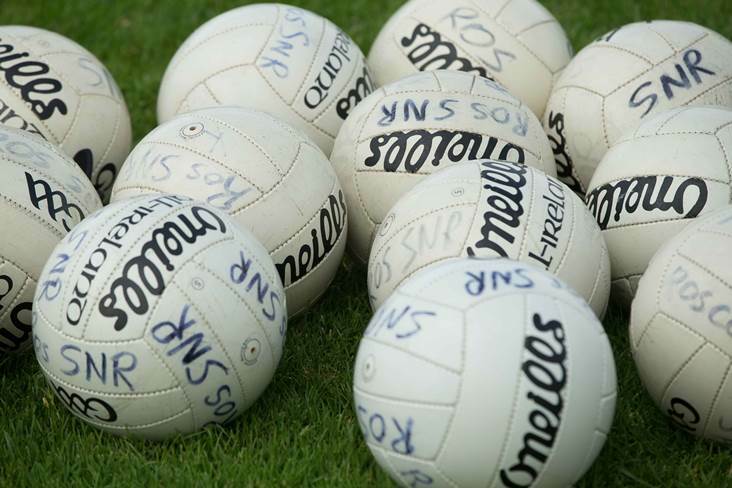 Freya Cahill and her classmates were apparently allowed to wear their Dublin jerseys to school before the recent All-Ireland men's football final, prompting her to ask: "if they can do it for the men's final why not the ladies?" Freya, who risks detention for not wearing her school uniform, had the full support of her father Keith heading out the door this morning.